Rachel graduated from Kansas State University in 2007 with degrees in Political Science, Psychology, and International Studies. She then went on to get her J.D. from Creighton University School of Law in 2010, where she earned an award for excellence in Trial Practice. Rachel was then admitted to practice in Colorado in October, 2010. Seeing an opportunity to join her father’s practice, Rachel returned to Kansas, and was admitted to the Kansas and the Missouri Bar in 2012. Rachel is committed to treating her clients with respect, and resolving their cases as efficiently and fairly as possible. 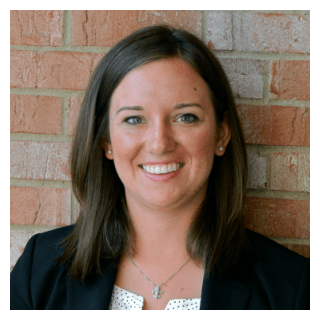 Rachel serves clients throughout Kansas and Missouri, with the majority of her practice occurring in Johnson and Wyandotte counties in Kansas, and Jackson and Clay counties in Missouri. Contingent fees are only potentially applicable to collection cases. They are not available in family law cases.